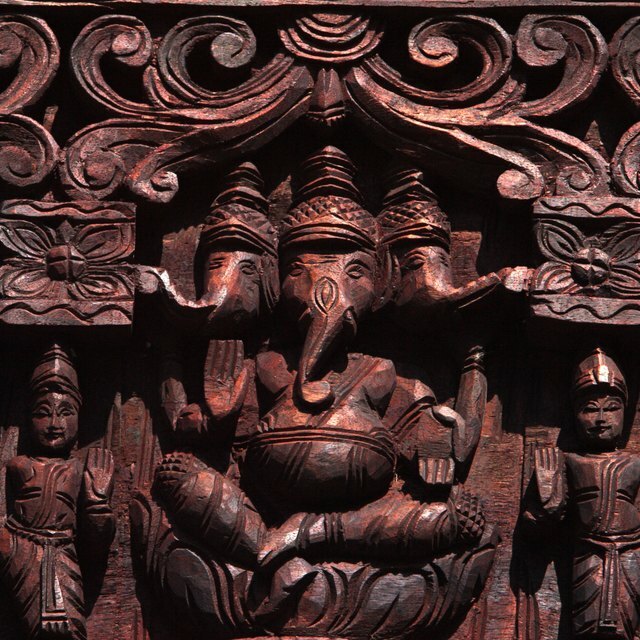 Hindu belief encourages worshiping gods through statues or idols. 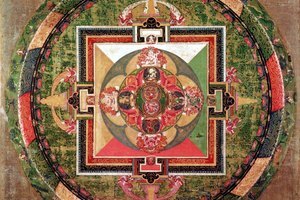 Hinduism, native to India, developed from a variety of historical beliefs and traditions. 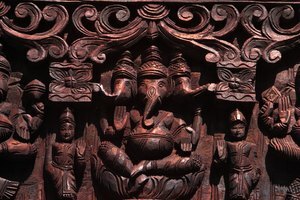 Hindu gods represent different divine forces, and followers worship them at home or in temples. Worship customs vary, but prayers, mantras and offerings are just some of the many methods practiced by all Hindus. These methods of worship help Hindus gain insight into the true nature of the universe. 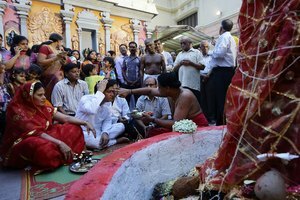 Religious rites fall into one of three categories in Hindu worship. Nitya are daily rituals such as making offerings at a shrine or praying to the family deities with mantras. Followers practice these rites as often as three times daily. Naimittika are religious rites that are practiced at certain times of year. Followers practice rites by visiting temples and making an offering or by observing annual festivals. The final type of religious rite in Hinduism is the practice of Kamya, which is a holy pilgrimage to sacred sites like the Ganges river. Unlike the other two forms of worship, this is optional, but many Hindus still practice it. 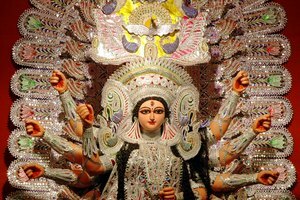 The term puja denotes the worship of a god by paying tribute in various ways. Exact methods of this form of worship differ according to different Hindu sects, but some forms are common throughout and performed at home or at temple. During the invocation, Hindus welcome the presence of a deity into their space by praying to its idol or picture. Another important practice is to offer the deity's idol water both for consumption and for the washing of the feet -- a holy part of the body. Several other aspects of this form of worship involve anointing the deity with honey and perfume, presenting flowers and lighting a special lamp so the god can see. After followers perform these practices, they wash the idol or picture clean to mark the end of puja. 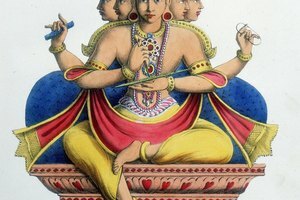 In order to worship Hindu gods, Hinduism teaches that individuals must educate themselves through the practice of yoga. Although many people think of yoga as exercises that individuals perform to stretch their bodies, the term Hinduism evokes following certain disciplines, or paths to divine knowledge. Some adherents practice an ascetic form of yoga where they isolate themselves to study sacred Hindu texts. Other Hindus believe in a form of yoga that involves helping other people and accumulating positive karma. The practice of exercise based yoga grew out of this tradition, as some Hindus believe that by controlling their bodies they are more aware of their spiritual identity. Hindu worship comes in a number of forms and each one is a sign of devotion to a Hindu deity. Hindus often chant mantras before images of deities. This helps them realize the truth of the words and the knowledge of their gods. Other forms of worship involve singing hymns and eating sacred foods after offering them to the gods. Taking counsel with a holy person, such as a yogi, is another way Hindus gain divine knowledge and show devotion to various gods. 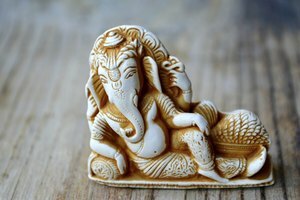 What Objects Do Hindus Worship? Stuart, James. "Worship Practices of Hinduism." Synonym, https://classroom.synonym.com/worship-practices-of-hinduism-12085747.html. 29 September 2017.